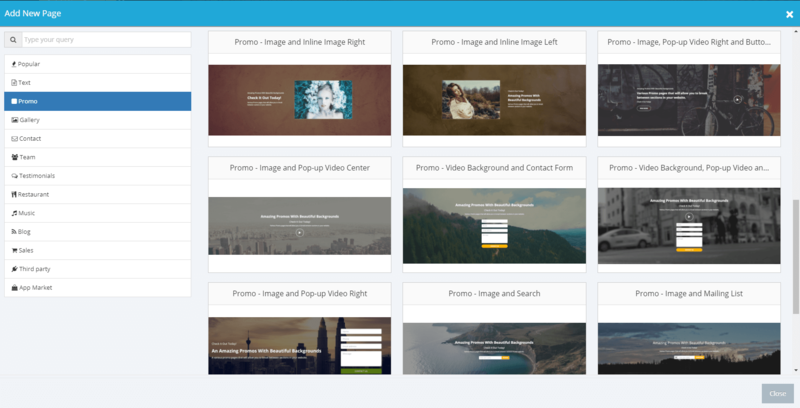 The new promo layouts allow for greater customisation and enhancement of your website! These promos can be added effortlessly to any website to make it shine! Text align to the left. Text with button align to left. Text align to the left and image to the right side without video. Text align to the right and image to the left without video. Promo page with form on the right side and more. 오늘 US에서 1836가 넘는 SITE123 웹사이트가 개설되었습니다!